Do you have a story of a long-gone restaurant from metro Detroit’s storied past? We’ll give a $100 gift certificate to one of the finer “modern” restaurants in town to the author of items we publish. 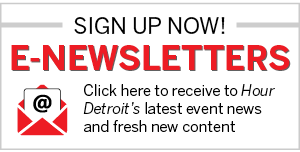 Email us at editorial@hourdetroit.com or snail mail us at 5750 New King Dr., Troy, MI 48098. Just put “Deja Food” on the subject line or envelope.